Lang air hold fitting set is used to apply air pressure to keep valve closed wheel replacing seal/spring. The Lang air hold fitting set includes 14mm and 18mm adaptors threaded for 1/4''NPT. The 901 Lang Air Hold Fitting Set is one of thousands of quality tooling products available from MRO Tools. Please browse Lang Gas - Petrol Compression Testing Equipment for tools similar to the 901 Lang Air Hold Fitting Set. 901 Lang Air Hold Fitting Set description summary: Lang air hold fitting set. Used to apply air pressure to keep valve closed wheel replacing seal/spring. 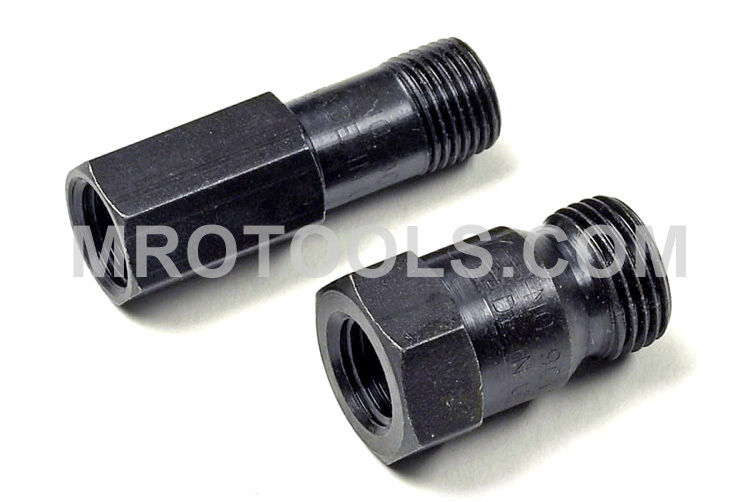 Includes 14mm and 18mm adaptors threaded for 1/4''NPT. Quantity discounts may be available for the 901 Lang Air Hold Fitting Set. Please contact MRO Tools for details.